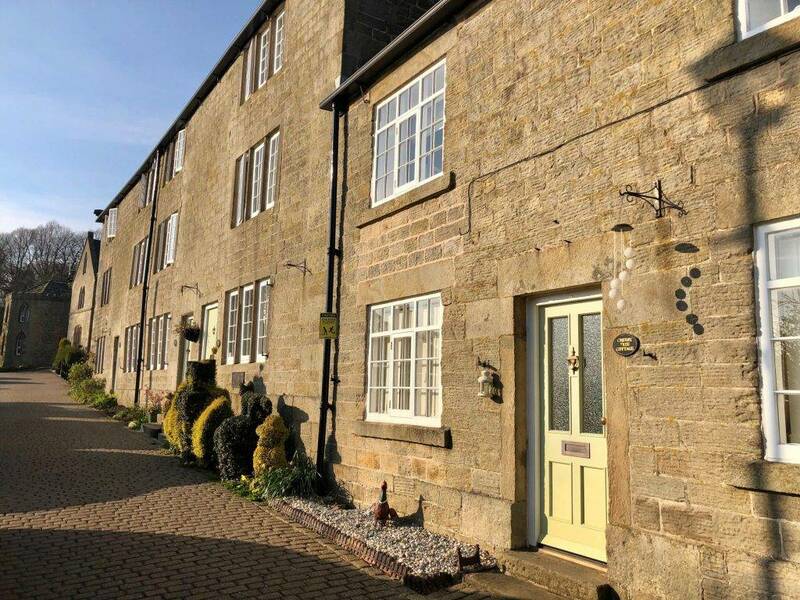 The village of Bradfield lies just 7 miles out of Sheffield but is surrounded by beautiful, wild moorland countryside, on the border of the South Yorkshire Peak District. It has the distinction of being the largest civil parish in England, although in fact it is made up of two villages, High Bradfield, which is situated on the hillside, and Low Bradfield, which sits down in the valley alongside the River Loxley. 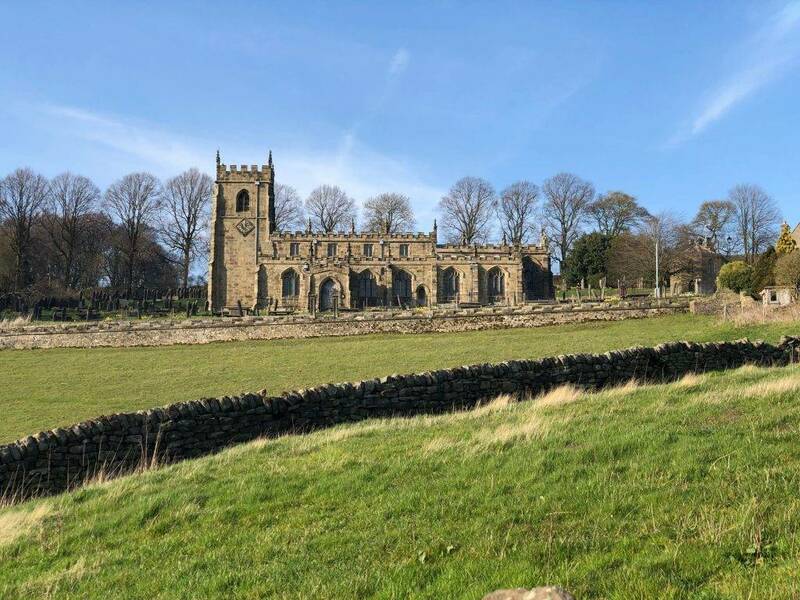 High Bradfield is a historic place, dominated by a beautiful Grade I listed church, St Nicholas, built in the 1480s in the Gothic Revival style. It includes parts of an earlier 12th Century church, and is thought to stand on the site of an even earlier Anglo-Saxon place of worship. High Bradfield also contains extensive ancient earthworks at Bailey Hill on the northwest edge of the village. The earthworks consist of a 10.5m high mound surrounded by a 95m long curved trench. It is a Scheduled Ancient Monument, although its exact origins are unclear and it is not known whether it is a Norman motte and bailey castle or a Saxon fort. Excavations from the 18th Century revealed squared stones that had been cut using tools. In the opposite direction on the southeast edge of the village is Castle Hill, a ringwork site marked on old maps as a Saxon encampment, although again the precise purpose of the construction is unknown. The village today is a picturesque place, perfect for a day out. High Bradfield boasts some notable old buildings, including the original parish workhouse. This was operational as a workhouse from 1759 to 1847, but in the 1870s was converted into private homes. 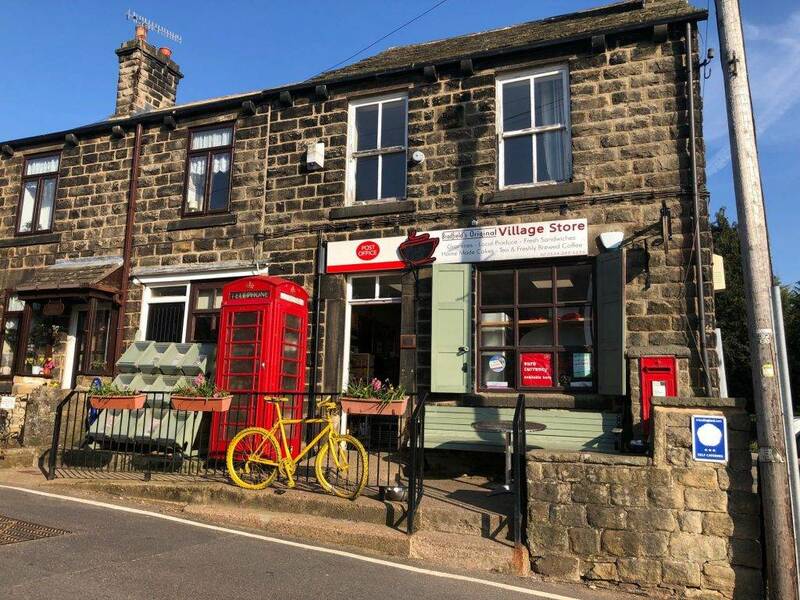 There is also a Grade II listed building known as The Old Post Office, built in 1835 of local gritstone with a slate roof. 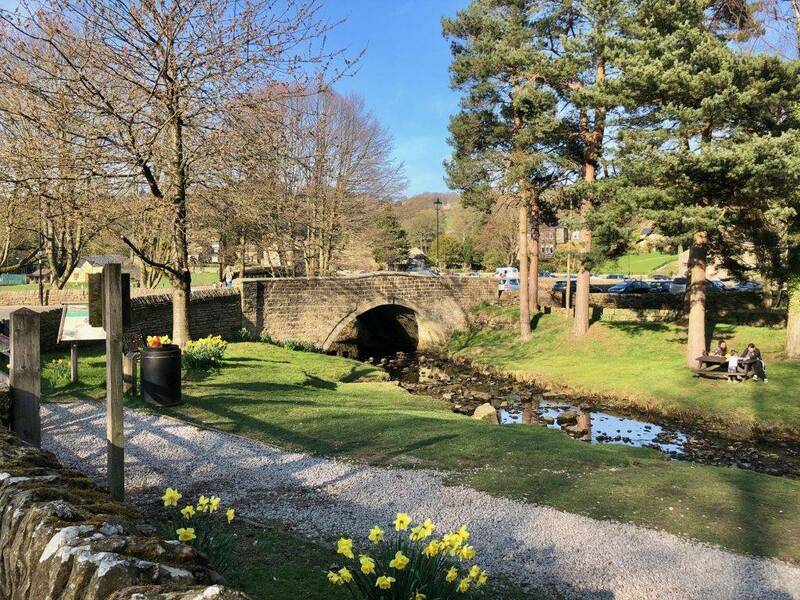 High Bradfield also has a lovely pub, The Old Horns Inn, which serves good food and has a pub garden that overlooks the Upper Derwent Valley. Low Bradfield is less historic, much of it having been destroyed in the Great Sheffield Flood of 1864, but no less beautiful. It is centred around a beautiful village cricket ground and park. It also has a great pub, The Plough, and a lovely shop and tea room in Flask End. Bradfield is also the home of the Bradfield Brewery, renowned locally for its fabulous ‘Farmers’ ales. 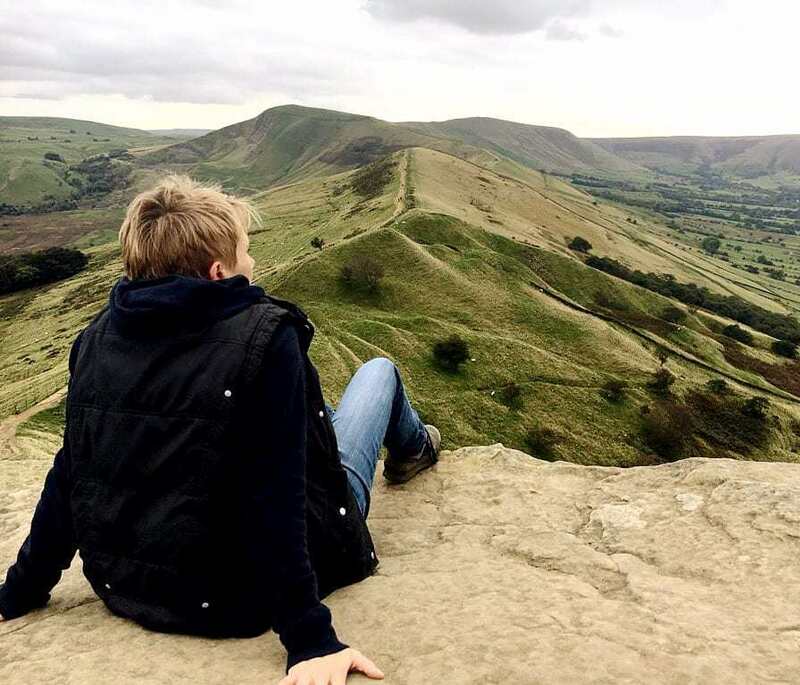 There are numerous walks from the village into the surrounding Peak District countryside. The parish of Bradfield includes a number of picturesque reservoirs, including Agden, Damflask, Dale Dike and Strines. It also covers extensive areas of wild moorland, including Bradfield, Midhope and Broomhead Moors.